The aim of this presentation is to provide an overview of the Human Papilloma Virus (HPV) and the associated carcinogenic pathologies of HPV. The predominant cellular players discussed in HPV pathologies are p53 and viral oncoprotein E6. In addition, ptergyium pathogenesis and lung cancer are other pathologies reviewed to understand the large scope of an HPV infection. 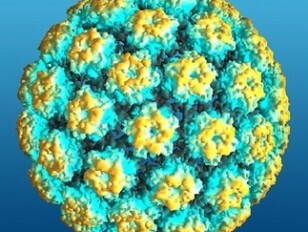 Lastly, HPV vaccines Cervarix and Gardasil are presented as mechanisms for prevention of HPV induced carcinogenesis.